Buying a used car has always been an activity that we had to do wisely. While normally it doesn’t represent any potential risks, careless buyers could find some problems after closing the deal. Successfully getting a risk-free used car will depend on us, the buyers. Some sellers out there that will say anything, no matter if it’s true or false, in order to achieve the sale. The problem here is that uninformed buyers have their hands tied. Fortunately, there are many resources that can help us in this situation. Buying a risk-free used car is completely possible in Australia, but you need to be always alert and seek for smart advice. At Quick Revs, we want to share with you some actionable information. Before we address the measures that we can take before buying a risk-free used car, all potential buyers need to understand the problems they could find if they aren’t willing to pay attention. Every single investment carries a financial risk. Depending on the type of asset, that risk will be higher or lower. When it comes to used cars, therisk is considerably higher in comparison with new cars. Fortunately, this doesn’t mean that we shouldn’t get a used car. An uninformed car purchase could lead to repossessions by financial institutions, hidden mechanical damage, or legal issues when trying to register the vehicle. Most people choose to buy used cars more than once in their lifetime. Getting a good deal can represent big savings and even a profit in the near future when we decide to sell it. So, it becomes paramount to adopt habits that will benefit you every single time you need to buy a used car. Be Curious: A habit that comes handy in almost every single aspect of life, being genuinely curious can benefit you when trying to buy a risk-free used car. When physically checking a vehicle for sale, take a look at everything. Open all doors, hood, and trunk while visually scanning all the elements present. Even if you aren’t a seasoned buyer when it comes to used cars, you will be capable of noticingstrange things or making the seller uncomfortable if he or she is trying to hide something. Invest in a Car History Check: As you might guess, at Quick Revs, we are fans of Car History Check. We believe that this is one of the most important and useful resources for Australian buyers who want a risk-free purchase. These reports offer transparent information about the vehicle, provided by government agencies. Be Willing to Make Questions to Third Parties: Road agencies and police stations are good places to make questions. For example, if the Car History Check says that the vehicle is written-off or “unrecovered theft”, visit the nearest station and start asking more information about the case. Be Patient, Especially If the Information isn’t Clear: Every single time, you will be the one who decides. Because of this, you need to be patient and give it a break if you feel that things aren’t absolutely clear. A lying seller will do everything in his or her power to hide information that could be inconvenient for the sale. So, if you aren’t confident enough with the negotiation, think it through. Open all doors and check if they open and close as they should. Do the same with trunk and hood. Review the dashboard and console’s integrity, as it often suffers damage due to owner’s abuse. Check the seats’ conditions, especially if they have cloth upholstery. Test both head and tail lights to see if they work properly. Ongoing Loans: If the Car History Check says that the vehicle is encumbered, this means that there is an ongoing loan; a commitment to a bank or other financing institution. 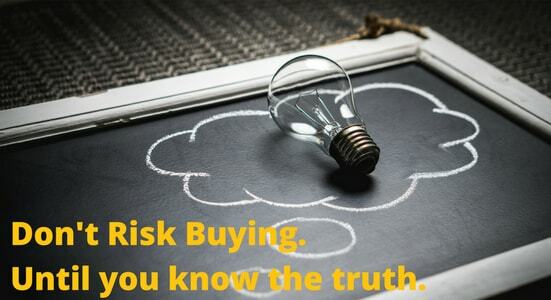 If the seller tells you this during the first meeting, you can negotiate a way to pay the pending debt. Previous Accidents: There are many cars that were involved in important accidents and got fixed by experienced professionals. Often, final results are so good that we cannot notice at first sight that the vehicle suffered any damage in the past. Nevertheless, this situation can cause some trouble to the new owner. If the seller isn’t telling you the whole history, you can check this on the report. Potential Stolen Status: One of the most common written-off statuses is the “unrecovered theft”. You need to request a PPSR check in order to know if it’s safe or not to purchase a used car. Have in mind that there are many stolen vehicles circulating, representing an important risk to buyers. What Quick Revs is Offering You Today? At Quick Revs, you will receive all the public information related to the used car you want to buy. Our Car History Check and revs check report are filled with valuable data that will let you know if the vehicle in question is safe to buy. All the information we provide at Quick Revs is fully reliable and delivered immediately after the purchase. After introducing the VIN and going through checkout, you’ll be ready to make a call about that used car you want to buy. So, what are you waiting for? 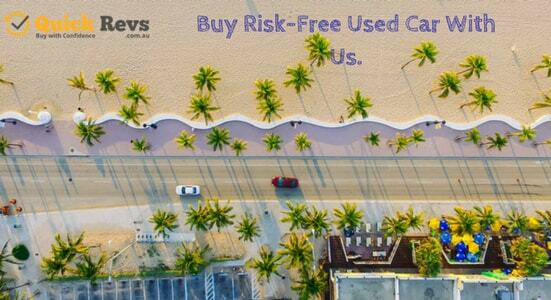 Quick Revs is your best ally when it comes to buying a risk-free used car. Feel comfortable and safe with your next purchase, thanks to our Car History Reports.